Recently the kind folks at Oxyled sent me some of their lights to review. I must say these are coming in handy for me. 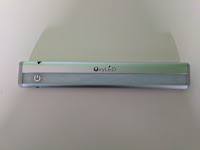 They sent me two different models:the OxyLED Tap Night Light Strip and the Wireless LED Puck Lights. I decided to use the Night Light strip in my daughter's closet as there currently is no lighting in their and I could install it at any height. 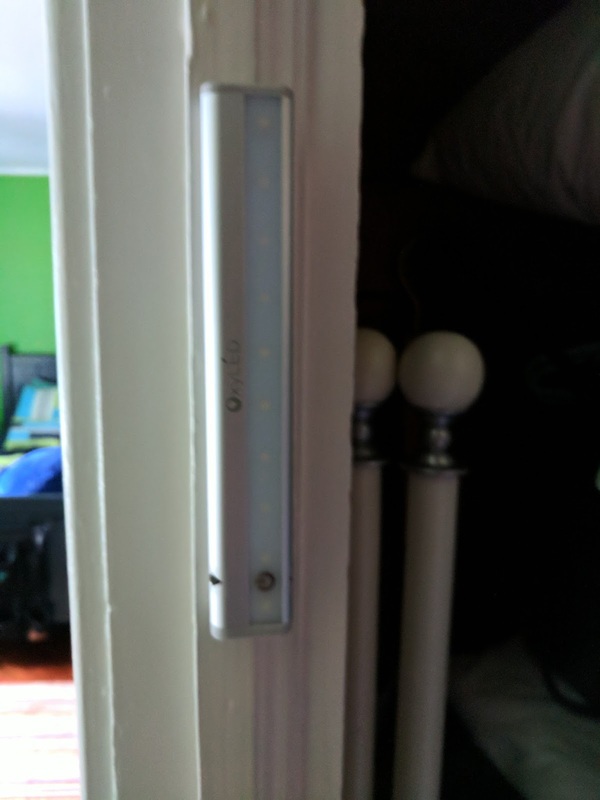 This strip is touch activated, so a light touch turns it on and similar turns it off. It can also be dimmed and brightened with a longer press/hold. 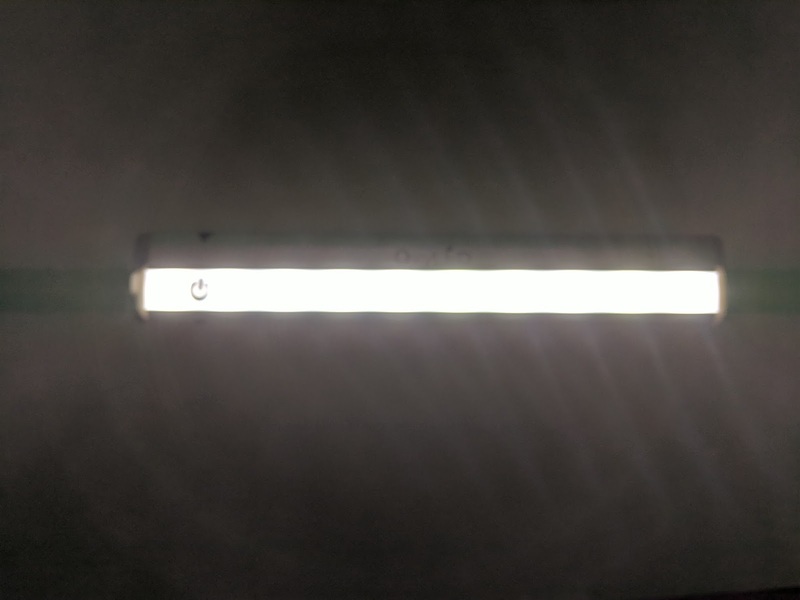 It comes ready to install with very strong double sided tape, so I just peeled the one side and pressed firm where I wanted it and blamo, instant closet lighting for her. It uses 4 AAA batteries and provides over 30 hours of lighting. Its nice that you can easily remove the light to change the batteries without having to peel off the tape. It has 10 LEDs with a maximum brightness of 80 Lumen and 50,000 hours of life. 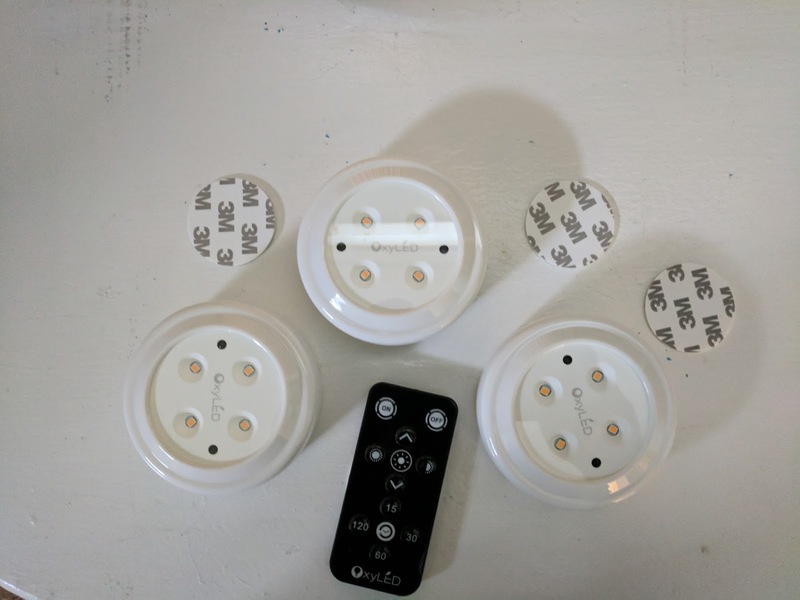 The Puck lights I chose to install in my wife's closet as it too had no lighting. The puck system comes with three pucks that can be mounted with either screws or double sided tape, both included. This one comes with a remote control as well. 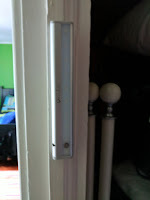 I decided to mount them with the double sided tape and I also mounted the remote on the inside of the closet door. The remote enables on/off as well as pre set timer functions and brightness control. Each puck has 4 LEDs, powered by 3 AAA batteries for each. 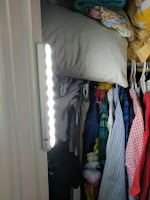 Having three different pucks on the same remote made adding light to her closet (with two sets of doors) simple and affordable. 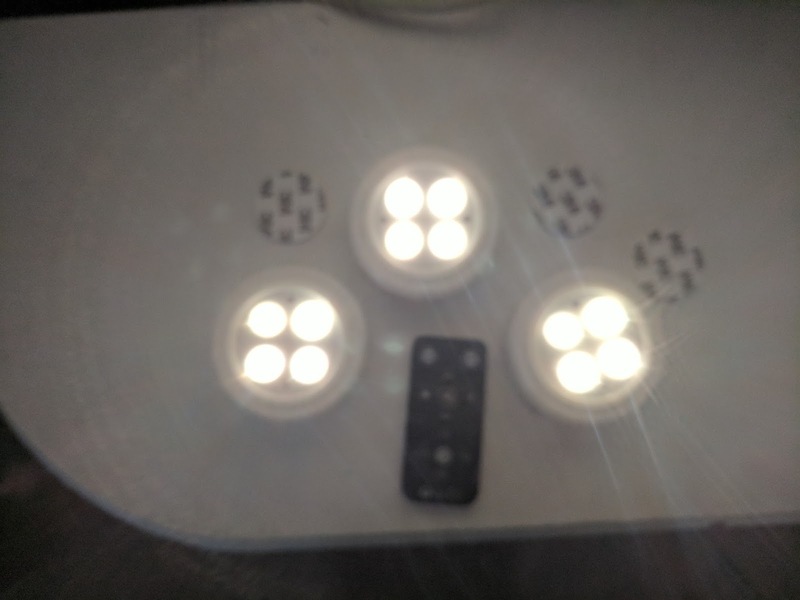 I highly recommend these lights if you are in need of a simple, inexpensive way to light a dark area. You might want to fix your typo in the first line: "Recently the kinds folks at Oxyled..."
Thank you so much for sharing these awesome and very useful information here.I just love to visit here only because I'm getting some really good information which is useful in preparing article for best essay writing service.keep sharing more.